Doug is starting to get back on his feet. He had been living with his brother for the past year after his boyfriend cheated on him and a lawsuit left him destroyed both financially and emotionally. Doug has just gotten his own apartment and through anger management and meditation, he’s making a concentrated effort to move on. Except his new upstairs neighbors are loud and with parties going all night, Doug has had little sleep. When he attempts to explore a local bar, he meets Stewart, and then subsequently Corey. Doug is immediately attracted to Stewart, but Stewart is in an open relationship with Corey and, at the start, that is outside of Doug’s comfort zone. Yet he can’t help but be drawn into the lives of both Stewart and Corey as Doug has to figure out what exactly will ultimately make him happy. I have reviewed another series by Darien Cox and enjoyed it and thought that TBR Pile Week for Reading Challenge Month would be a good opportunity to explore some of the author’s other works. This book will hit many areas that fall outside of some of the more expected boxes. 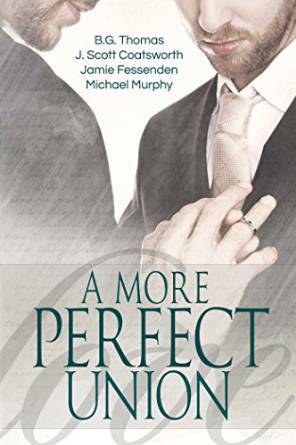 It’s certainly a book that will give a different perspective on relationships than what is often seen in the genre and it’s a book to take chances with, but will not be for every reader. The book is filtered through Doug, so it’s only possible to get part of the story and there is a lot of story here. We meet him as he’s leasing a new apartment after an incredibly rough year, including a break up and a lawsuit. His brother was his lifeline, but Doug is now feeling determined to pull it all together again. When Doug meets Stewart, it’s a cute meet up from their first conversation to them going home together and they had great chemistry and energy together. Then things get complicated. Stewart is in an open relationship with Corey and while he’s free to spend the night with Doug, there are unexpected complications. Yet that doesn’t prevent Doug from falling hard for Stewart. Doug gets heavily involved in Stewart and Corey’s lives and there are extenuating circumstances that make this all plausible. My issue here wasn’t with the relationships as with the characters themselves. None of them particularly held my attention. We never see Stewart and Corey on their own as everything is filtered through Doug, so how he sees them is how we see them. Corey is beautiful and turns heads wherever he goes and between him and Stewart, he is the one to spend more nights with someone else. Stewart was the one that initially suggested the open relationship, yet he’s not getting from Corey what he needs anymore. They are a major focus of the book, but as the book went on, I wasn’t intrigued by any of them and the book started losing steam for me because of it. Stewart had a lot of stuff to figure out with Corey, and Doug was trying to figure out what to do next, and the ending relationship then didn’t feel like the priority to me. Even by the end, Doug was still hesitant and then so was I. The book is well written and Cox still has a great style. I enjoyed that the book took risks and while I didn’t fully engage with the characters, it could be a good choice and a perhaps a good series to try for a storyline that has a lot going on and is a bit different from the rest. 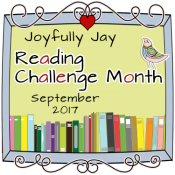 This review is part of our Reading Challenge Month for TBR Pile Week! 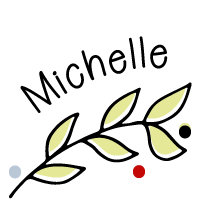 Leave a relevant comment below and you will be entered to win a fabulous prize from NineStar Press. Four lucky winners will each receive a $25 NineStar Press gift card. Commenters will also be entered to win our amazing grand prize sponsored by Dreamspinner Press (a loaded Kindle fire filled with DSP books!). 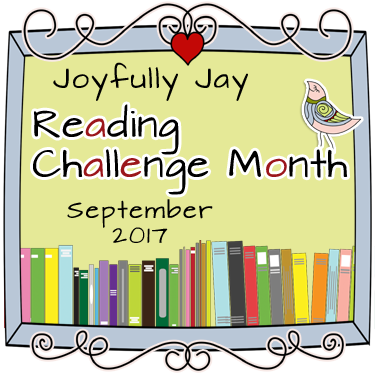 You can get more information on our Challenge Month here, and more details on TBR Pile Week here. And be sure to check out our prize post for more about the awesome prizes! I think I’ve read one Darien Cox book before, though nothing comes to mind about whether it was a good read for me. I think I’ll let this one go by since I like some great characterization in my stories. You can have that even when it’s one point of view (Sutphin Boulevard pops first up in my mind), and it actually feels even more important to have stronger characterization if you only have a single viewpoint. Hopefully I’ll enjoy something of Darien’s another time. To go off topic…Sutphin Boulevard is my favorite Santino book and definitely at the top of my list of books in the genre as well. Excellent choice! It’s my favorite of his too, although so many are right behind it. His stories and characters are just so wonderful. We are seriously spoiled by how many stories he’s given us in such a short time. Not that I’m complaining! Thank you for the review. I haven’t read anything by this author yet but i have two books (Fit for the Job and Criminal Pleasures) from this author on my ereader so i’m definitely going to get them higher on my tbr list. I haven’t read either of the books you mentioned but I have read the author’s Village series and enjoyed those. I haven’t read anything by Darien Cox, and I don’t think I’ll be starting with this one as it’s not speaking to me. I haven’t read many menage stories though I did like Garrett Leigh’s Misfits. I can appreciate it not speaking to you but so you’re aware it’s not a ménage story. Two of the characters are in an open relationship but the three of them are never together. Thank you for clarifying, Michelle. I was evidently seeing something that wasn’t there! Hmm…I wonder if so much effort was spent on the dynamics involved that the characters themselves didn’t get a chance to blossom. Thank you for the review! Lots of new authors and titles to add to my shelf this week alone! I heard about this author for the first time a couple of weeks ago and was still on the fence so thanks for the review. I really like the idea of exploring different types of relastionships. I’m not as keen on this type but I can see it’s…we’ll it’s pros and cons. I think it would be the hardest to keep up with in a real world sense. And I say that as how some have a real life partner and internet one. I think tho I’d really need something special to get me to love the book based on this type of relastionships as, to me, it could turn out to seem more like they are staying together out of habit. Not lifestyle and I’d really need the lifestyle of it to be explored. And more so the hesitation or raised eyebrow of anothers almost narrowed minded opinion to be shut down hard. I actully have this in my ereader, but haven’t read it yet. This is the same issue I had with Cameraman (things missing from the story due to the 1st person POV), which may be why I haven’t read it yet. I wonder if the sequels tell different points of view? I haven’t looked because spoilers. This book is third person POV but only from one MC. I do like first person though. Corey from this book is the MC for book 2. 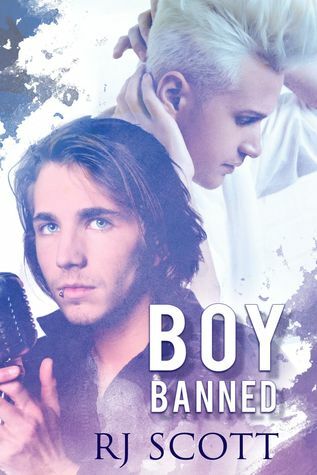 I haven’t read it but I do know that some of the guys from this book make an appearance there but it does move on to a new love interest for Corey. If that helps you at all. Thanks for the review. I have this in my TBR but haven’t read it yet. I’ve read all the books from Darien Cox and I have to admit this is my last favorite series. At least book 1 and 2, I loved book 3 (which was with the book I started the series) even though it was obvious that many of its characters were from the previous ones. I’ve read Victim of Love by Darien Cox and loved it. I really wanted to give Darien’s other books a read but wasn’t sure which one to pick next. From the sounds Guys on Top, I’m sure I should save this for down the line. Thanks for your review! I haven’t read anything by this author yet and I’m not sure if I’ll start with this one but I will give them a try. I Haven’t read books from Darien Cox. Normaly I like books with takes on relationships outside the norm. Maybe I should read this one. I really don’t like threesomes, so this book wouldn’t be for me. THanks for the review, Michelle. Seeing this book I was “hesitant” (as you put it for the character Doug), and thought it might be interesting to see how being on the third in an open relationship might work. But it didn’t seem to quite connect with me, either.